As the St. Louis Cardinals Hall of Fame moves into its sixth year of existence, it is once again time to open the fan-driven voting process for “Modern Era” players – those greats who retired from active play in the last 40 years. One important piece of information remained – the ballot of names for you to consider. To that end, the 2019 edition of the “Red Ribbon Committee” of Cardinals baseball experts met recently. Our mission was to evaluate the merits of close to two dozen former team greats, with the goal of whittling that list down to a more manageable total of between six and ten. That is never an easy job with so many more deserving candidates than votes allowed. On Wednesday evening, the Cardinals disclosed the names of the 2019 Modern Era finalists – six individuals delineated by the committee’s voting distribution. Though the six candidates are the fewest in recent years, perhaps it is fitting for year six of the process. There are no first-time names on the 2019 ballot. However, Matt Morris (2014-2016) returns after a two-year absence and Edgar Renteria (2015-2017) had also been on three prior ballots before missing 2018. They join returnees Keith Hernandez, Jason Isringhausen, Scott Rolen and John Tudor. In a bit of a surprise perhaps, 2018 candidate Lee Smith fell off the 2019 ballot. The former closer was elected to the National Baseball Hall of Fame in 2019, but will enter with a Chicago Cubs logo on his cap. However, as we see with Morris and Renteria this year, Smith could return later, unlike how Cooperstown manages its vote. Two of the six are assured of entering the Cardinals Hall in 2019. Fans will select the winners from this list via an online voting process that will run from Friday, March 1 through Friday, April 12. On August 24, the pair will be among the sixth elected class to be enshrined into the Cardinals Hall of Fame. When inducted, they will join the 2018 fan vote winners Ray Lankford and Vince Coleman, and veteran selection Harry Brecheen, along with the 37 prior Hall of Fame members. Among other former Cardinals greats considered in the secret ballot process are outfielders George Hendrick and Brian Jordan and infielders Tom Herr, Jose Oquendo, Tom Pagnozzi, Terry Pendelton and Garry Templeton. Pitchers also under consideration for the Modern Era fan ballot include Joaquin Andujar, Al Hrabosky, Joe Magrane, Jeff Suppan, Bob Tewksbury and Todd Worrell. The “Red Ribbon” committee of Cardinals baseball experts has one other annual task. After considerable discussion, via another secret ballot, we voted in one individual from the “Veteran Era” category – those having completed their careers more than 40 years ago. The merits of 10 very strong candidates from St. Louis’ rich baseball history were considered in depth. They are first basemen Ripper Collins, Orlando Cepeda and Bill White, second baseman Julian Javier, third baseman Whitey Kurowski and pitchers Mort Cooper, Bill Doak, Larry Jackson, Howie Pollet and Bill Sherdel. The final annual inductee may be an important figure from team history, such as a coach, broadcaster or member of the front office. This pick, if made, will be done at the club’s discretion and would be the fourth member of the Cardinals Hall of Fame Class of 2019. This selection was skipped in both 2017 and 2018. These two final selections – the “Veteran Era” and the ownership selection (if there is one) – will be announced along with identities of the two “Modern Era” ballot winners on Friday, April 26. When voting is open, please participate. It is easy and logical to think that one vote does not matter, but it does. For example, in 2016, just two hundredths of one percent separated the second and third-place candidates – with one getting in and the other not. Just a handful of votes could have swung that election in the opposite direction. Here are the key dates to remember. The 2019 Class will be announced on Friday, April 26 at 6 p.m. CT during a Hall of Fame announcement special on FOX Sports Midwest, and also in a pre-game ceremony at Busch Stadium that evening. The formal enshrinement ceremony will take place on Saturday, August 24, culminating the Cardinals Hall of Fame Induction Weekend. 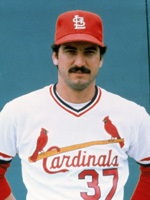 Keith Hernandez played 10 seasons with the Cardinals, winning six straight Gold Gloves from 1978-1983 at first base. He was a National League co-MVP in 1979, batting a league leading .344 with 11 HR and 105 RBI. The two-time All-Star was a member of the 1982 World Championship team and batted .299 that season with 94 RBI. Hernandez’s .385 on-base percentage ranks fifth all-time among Cardinals hitters to have played at least 10 seasons with the club. 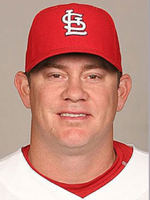 Jason Isringhausen spent seven seasons as the Cardinals closer. During his tenure, the Cardinals won the Central Division four times, capturing the pennant in 2004 and 2006 and winning the World Series in 2006. He registered a National League-best 47 saves in 2004, tying Lee Smith’s franchise record, until Trevor Rosenthal saved 48 in 2015. 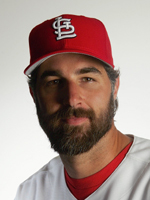 An All-Star in 2005, “Izzy” holds the franchise record for saves with 217 and ranks third among Cardinals relief pitchers with 373 strikeouts. His 401 appearances, all in relief, are the sixth most in club history. 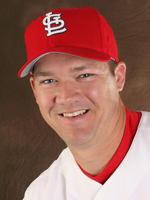 A first-round draft pick, Matt Morris made his Major League debut less than two years after being taken 12th overall in the 1995 amateur draft. In his 1997 rookie season, Morris made 33 starts and finished with a 12-9 record and a 3.19 ERA, tying him for second among Rookie of the Year balloting. A National League All-Star in 2001 and 2002, Morris finished third in Cy Young voting in 2001 after winning a Major League-best 22 games. In his eight seasons with the club, Morris recorded at least 11 wins six times, won four division titles and started 11 postseason games. Matt’s 986 strikeouts ranks sixth on the team’s all-time list and his .620 winning percentage is seventh-best in club history. 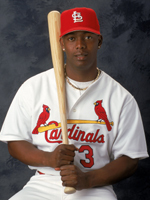 Edgar Renteria played six seasons with the Cardinals and was named a National League All-Star three times (2000, 2003, 2004). The Colombian shortstop won two Gold Gloves while with St. Louis in 2002 and 2003, and three Silver Slugger Awards in 2000, 2002 and 2003. Renteria batted .330 in 2003, a franchise single-season record for a shortstop, as are the 47 doubles he hit that season. His career high 100 RBI in 2003 ranks second among all St. Louis shortstops for a single season. Renteria’s 37 stolen bases his first season with the Cardinals are the most in a single-season since that time and his 148 steals while with St. Louis rank second in franchise history among shortstops. During his five plus seasons in a Cardinals uniform, John Tudor accumulated a .705 winning percentage and 2.52 ERA over 125 starts, both of which still stand as all-time Cardinals records (minimum 750.0 IP). The left-hander’s finest season came in 1985 when he won 21 games (went 20-1 after June 1) with a minuscule 1.93 ERA, including 10 complete game shutouts, and finished second in National League Cy Young voting. 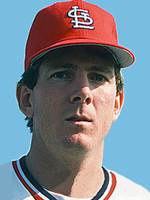 A member of two National League pennant winning teams in 1985 and 1987, Tudor won at least 10 games in each of the four full seasons he pitched for the Redbirds. Join The Cardinal Nation for the most comprehensive coverage of the St. Louis Cardinals from the majors through the entire minor league system. Our 2019 Prospect Guide is now available!